Today we’re excited to announce Specializations, a new type of program that allows students to develop mastery in a specific subject. Specializations take the learning experience beyond one course, offering multi-course series in cutting-edge fields from top institutions in the world. 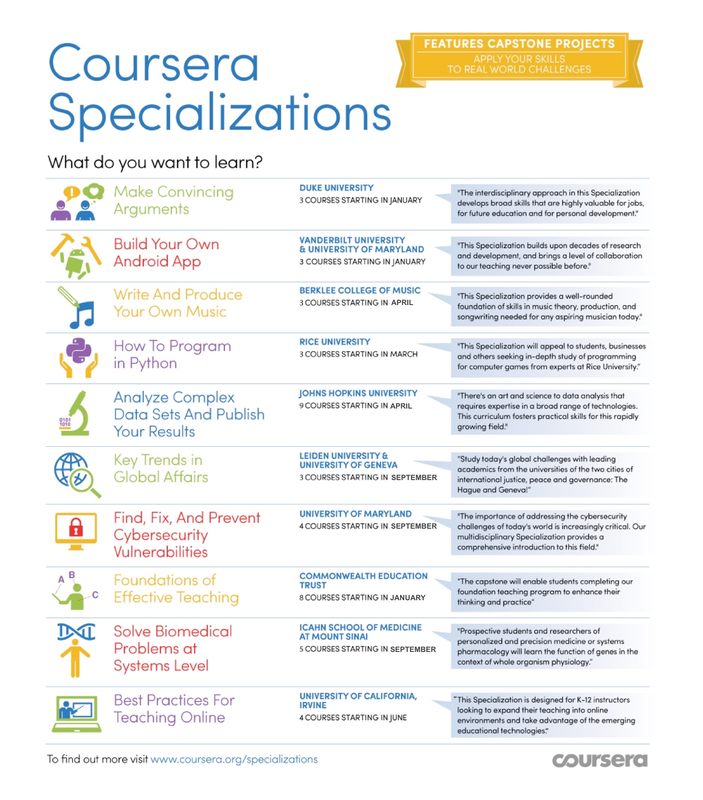 The Specializations cover popular topics such as Data Science, Cybersecurity, Android Development, and Foundations of Teaching. 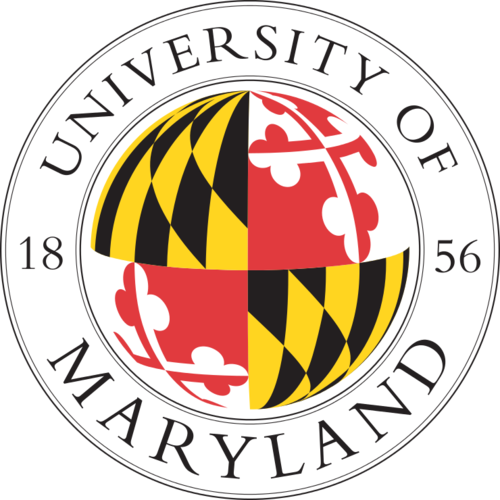 Every Specialization will culminate with a unique capstone project or exam that allows students to apply what they’ve learned to relevant, real world scenarios. Students completing the series will receive a Specialization Certificate verifying their completion of a top-notch academic program.